An “Irish Spring” . . . I discovered a pot of wildflower gold on the eve of St. Patrick’s Day. 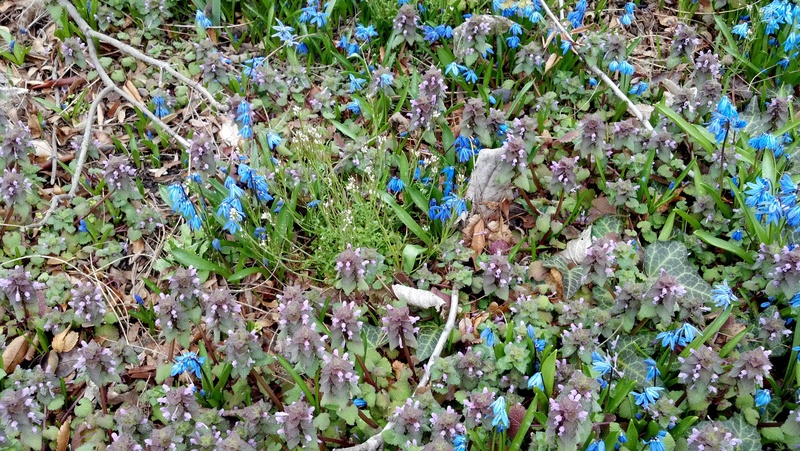 Surrounding the base of a tree beside the bike path along the West Side Highway, I found an Irish spring mix of Red Deadnettle (Lamium purpureum), white Hairy Bittercress (Cardamine hirsuta), and blue Siberian Squill (Scilla siberica), blooming together. The trees are bare, though budding; the ground is spongy, beginning to turn verdant. 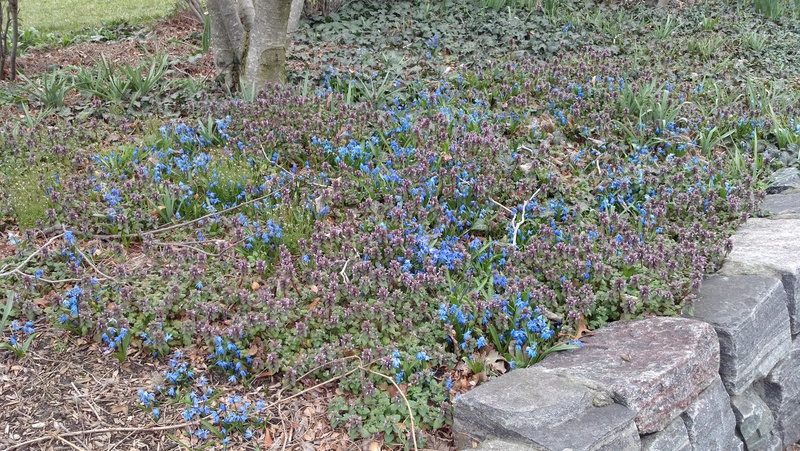 In this environment, the diminutive wildflowers of the early season are a refreshing sign of life renewing on the cusp of spring. Breathe deeply . . .